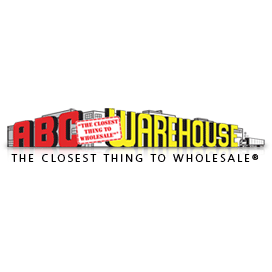 ABC Warehouse began back in 1963 with a single store location in Center Line, Michigan. Privately held and family owned, ABC currently operates over 40 locations throughout Michigan, Ohio and Indiana. ABC continues a "No Frills" warehouse approach in selling appliances, televisions, electronics and computers. We&apos;re known for "The Closest Thing To Wholesale"® pricing. ABC has grown to become the largest appliance/electronics retailer in the area.